Researchers analyzed the way cats lap and found that felines of all sizes take advantage of a perfect balance between two physical forces (gravity and inertia). 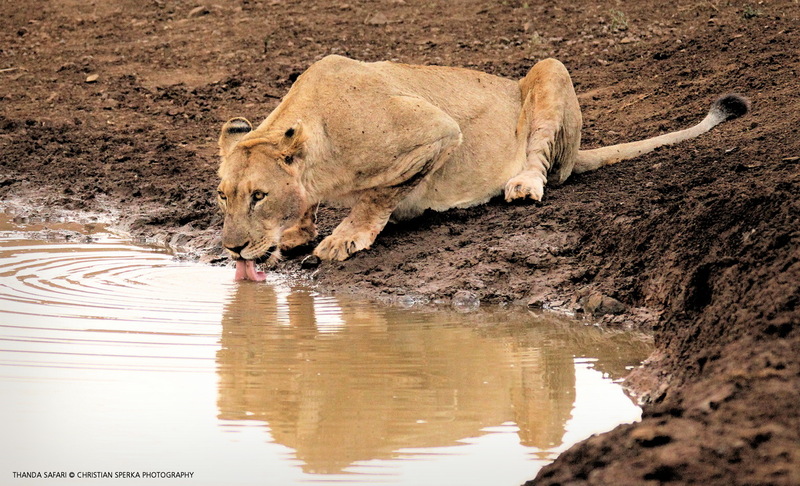 This Lioness gave a perfect demonstration of this incredible tidy process when she stopped by at a Thanda Safari waterhole yesterday morning. She had a very full stomach and drank a lot of water, so I had plenty of time to take the pictures and a short video! 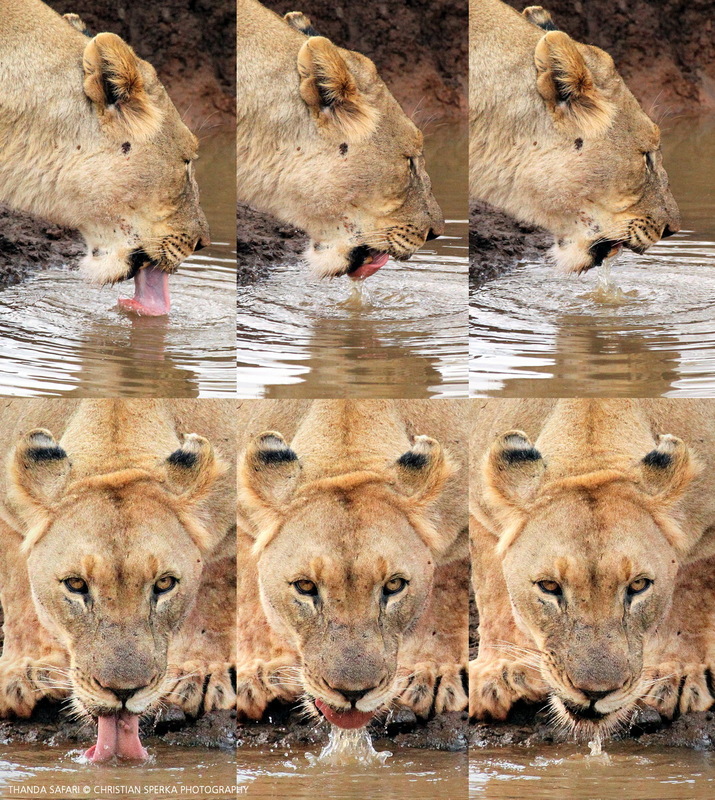 For more information how cats drink you might want to read this interesting article from MIT (Massachusetts Institute of Technology) at http://news.mit.edu/2010/cat-lapping-1112.